It’s no secret that people are obsessed with bacon. BACON BACON BACON! So, I’m hopping on the bacon board…vegan style. 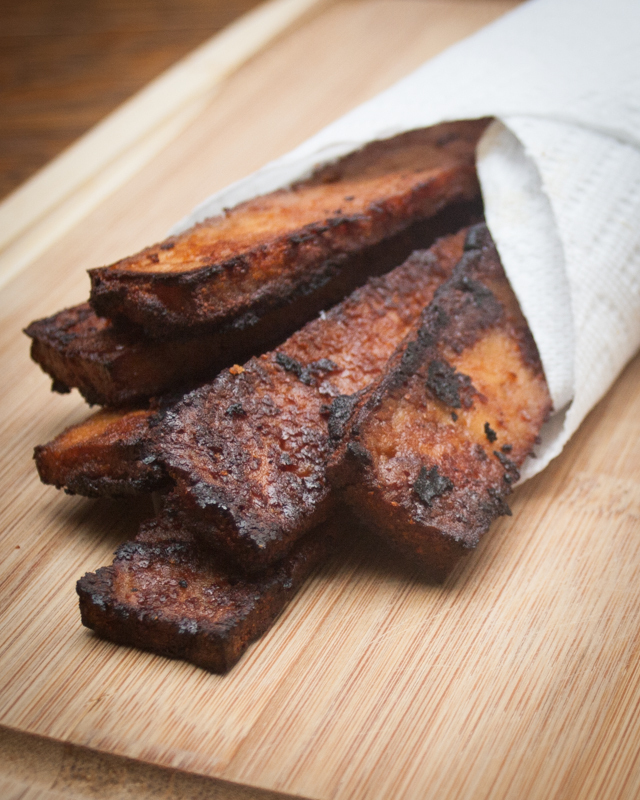 This tofu bacon is smoky, crispy, flavorful, and a great addition to any meatless meal. It will definitely be a new brunch staple in this house! It’s true, there are already quite a few meatless bacon recipes out there. I’ve tried several of them, but have found others to leave the tofu too floppy, too bland, or just generally weird-tasting. My various experiments and taste tests have lead me to create this recipe, and I’m VERY happy with it! 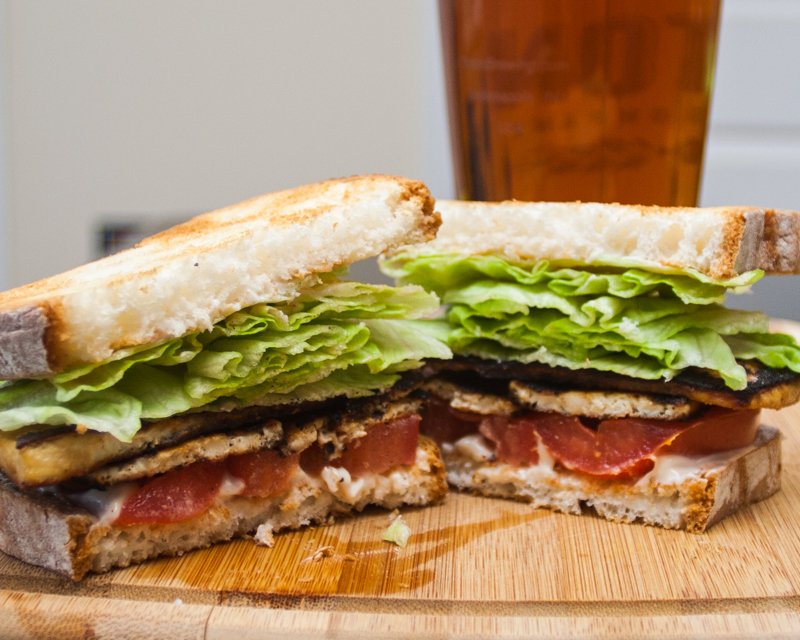 …or perhaps on a vegetarian BLT! Looks good, will probably make it this weekend. Have you tried doing the same with seitan? Make the dough, roll it thin and cut into the strips, give it a quick steam then to the marinade and second cooking seems that it might work with this flavor marinade. Looks good, will probably try it this weekend =) Have you tried this with seitan? Make the dough, roll flat and cut strips, give it a quick steam and them marinade and cook for the second time. I think it would work, and might also have a good meaty mouthfeel. Awesome, thanks for reading! I bet it would work pretty well with seitan…unfortunately I can’t try it since I have to be gluten-free, but I’d love to hear if that substitution works out! !